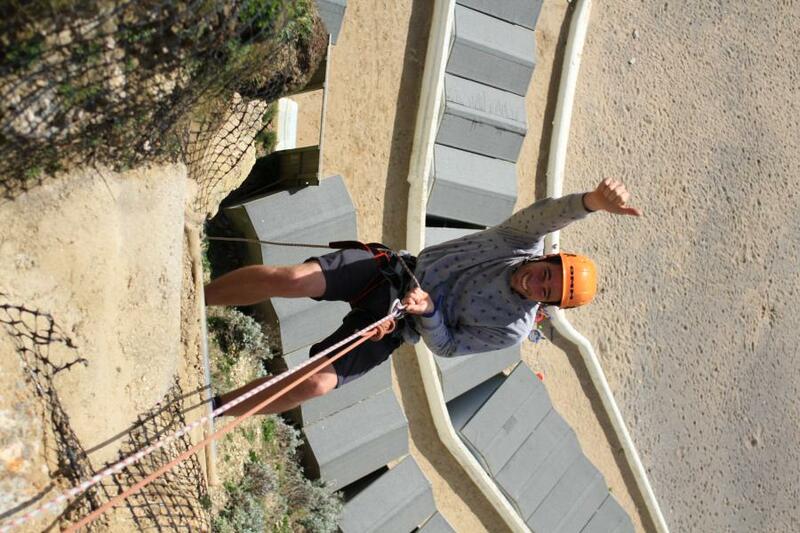 Get your rock on with this absolutely stunning abseil descent onto a beautiful sandy beach from the cliff above. Take in the striking views from across the bay as you carefully lower yourself down the 120ft cliff face. A qualified instructor will meet you upon arrival and ensure your full safety harness and rope is secured and of course the all important pep talk for extra encouragement. Conquer the cliff and soak up the immense sense of achievement once back on solid ground. Must inform staff of any medical conditions that may affect or jeopardise your safety. Please bring suitable footwear i.e trainers and comfortable flexable clothing to allow generous movement.